Three central clear glass horizontal panels with raised mouldings either side. Flush, sleek checkerboard grained central panel, vertical side border panels. Chocolate Grey Apollo Glazed 3L. 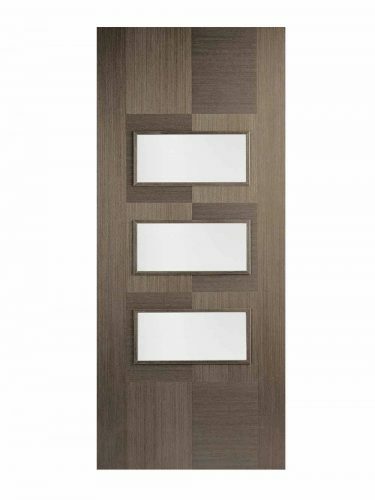 Three clear glazed centre panels settle in a checkerboard style contrasting wood grain pattern. Subtle and calm pre-finished Chocolate Grey. 3 Lights With Clear Glass. 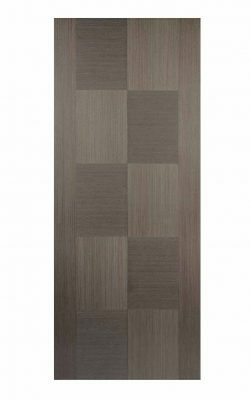 Sleek checkerboard grained central panel, vertical side border panels.